The Colt Officer’s Model 1911 pistol was originally developed in 1975 for the general officers in the US Army and US Air Force. It was developed to be smaller and lighter than the Commnader 1911. Following the military introduction of the Officer’s Model, civilian manufacturers began to make Officer’s Models for the public market. 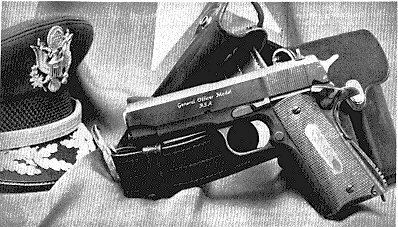 Officer’s Model pistols tend to be ammunition sensitive.